Meeting with a Tech recruiter in NYC last week, I was given the advice to monitor where VCs were investing in looking for potential employers. I was reminded that one of the world’s leading VCs, Spark Capital co-Founder Bijan Sabet resides right in my backyard. It’s moments like those that remind me how lucky I am to be at BC, because today I had the opportunity to spend an hour with Bijan and Runkeeper founder and CEO Jason Jacobs as they visited the Undergrad TechTrek Class. As with Rent the Runway and Bain Capital at Cyberposium, it was fascinating to hear the story of the initial Runkeeper investment from both the Entrepreneur and VC perspectives. As I have come to expect from anything Professor John Gallaugher organizes, the event was a veritable firehose of knowledge. Jason shared his experiences in starting a company without a Technical cofounder, scaling a business, and the ups and downs of running a consumer startup in Boston. 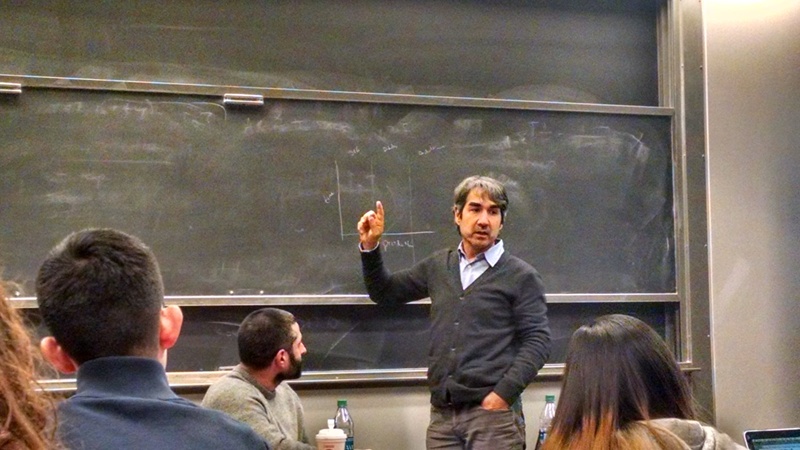 Bijan talked about what he looks for in founders, Bitcoin and the TV industry, and how to approach reunions. While I highly recommend any opportunity to hear these guys speak, I have included some of the key takeaways I found most interesting below. Please note, however, that these come from my notes and are not direct quotes. On Consumer Products: The key is to remove the friction and add some magic. The biggest blessing of running a startup is also the biggest curse. In a normal company you can work like an owner, do twice as much as anyone else, and maybe get 10% more. A startup is a neverending firehouse of knowledge and opportunity. The rewards are there but the more you do, the more things need addressing. 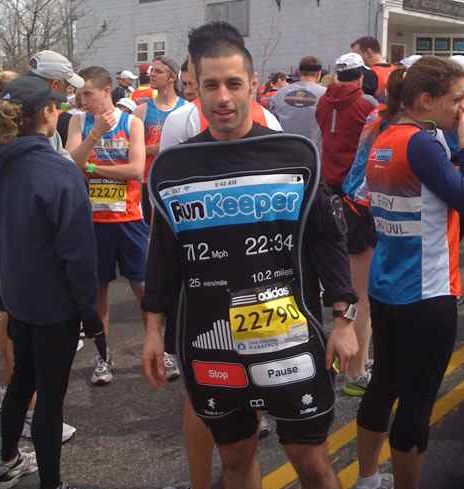 Runkeeper might actually have waited too long to define values. As the company scales, the stresses increase and you need to keep reinventing the leadership team. Some people will be scared of bringing in new members but the key is to keep the focus on growing the company and keep people who prioritize that. We are in the middle of a business school case. The first half is already written and there are two possible endings. We have to do everything we can to choose the right one. We are drawn to areas where traditional gatekeepers are no longer needed. We look for disruptive technologies that draw us to the edges. At the earliest stages, its less about growing the user base and more about compacting it and making a small subset really happy. The thing we look for is the “why.” Why is the founder starting this company? I value Founder, Product, and Mission more than I value Market, Model, and Team. Imagine running a company with five CEOs, sounds dysfunctional, but its intentional dysfunction. We don’t make a move unless everyone is excited. I’m more “on demand” than “push”. My job is to help my entrepreneurs find true north, not to prescribe a step by step approach. On Bitcoin: As an alternative currency it probably isn’t capturing its full value but as a protocol for facilitating payment, that’s what we are excited about. On TV industry: TV Ads are an $80B/yr industry but half of US households own a dvr and we know social engagement peaks during prime time. People aren’t paying attention to ads and something is going to break. On scaling a company: Every company hits some turbulence during scaling, its normal. If you go through adolescence without getting a pimple, that’s weird. On college reunions: I was a computer geek who married a cheerleader, I make sure I go to every reunion!